For C++ Intermediate Programming courses. 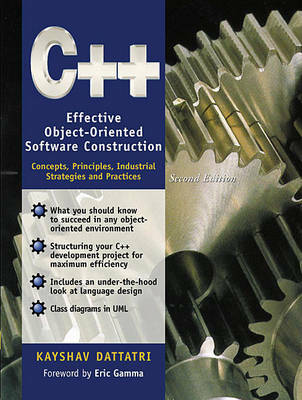 C++: Effective Object-Oriented Software Construction, Second Edition Is crafted to help students understand the C++ object-oriented paradigm in depth. It teaches to translate object concepts to practical solutions, no matter what software development environment encountered. This edition Is updated for the new ANSI C++ standard. The text introduces the fundamentals of object-oriented design/programming in the context of real world C++ software development, presenting proven strategies for using C++ to engineer elegant, high-quality software as quickly and efficiently as possible.